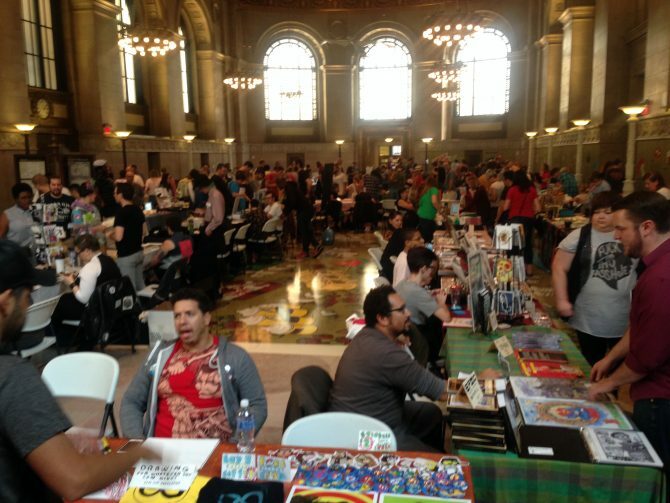 St. Louis Small Press Expo Returns! This Saturday, October 14th 2017, Central Library hosts the 4th annual St. Louis Small Press Expo (SPEx). The event will feature over 80 vendors, you can find the complete list of vendors here. One of the tables will feature Central's own zine collection where you can drop off zine donations, or pick up some to check out. This is the 3rd time Central Library has hosted SPEx. As public libraries around the country have begun embracing zines, they've opened themselves to zine and small press related events that have been embraced by the communities they serve. And don't forget to patronize the food trucks! Visit Locust Street between 11am to 2pm to get food from one (or more) St. Louis food truck.